You must not wait for a particular day to tell your sweetheart how much he (or she) cares for you, but Valentine’s Day reminds you that it’s important to celebrate this love and enjoy the 14th of February to showcase what the other one animates in you. To pay attention by organizing an evening and offering a gift, will bring some balm to the heart of your beloved. Romantic or simply crazy about your partner, let yourself be guided by jewelry made in France created under different models to express your feelings according to the taste of your lover. Various stories feed the beliefs about Valentine’s Day. All have one thing in common: the celebration of true love. Valentin, then bishop of Terni in the 3rd century, became the symbol of this day of love by his intervention with couples he married while the emperor of the time had it banned. Wishing to celebrate the union of lovers, Valentin secretly met them until he was imprisoned and then executed on February 14th. It thus remained the emblem of the combination of two loving lovers. Other tales have attributed this date to Love Day as the beginning of the love season for birds that are beginning to form pairs. What remains the very essence of this day is the union of two individuals who love each other and want to be together. To make the heart of your beloved soar, it is essential to know how to show him (or her) your love through some well chosen attentions. Celebrating your feelings on Valentine’s Day is an opportunity to tell the other the happiness of sharing his (or her) life. Many ideas can sublimate this love and make this moment a magical and unforgettable event. Completing the staging of the night with a jewel can symbolize your union forever. From silver to gold, you have the choice. Choosing something for your partner is also demonstrating that you know him (or her) and that his (or her) tastes are no longer a secret for you. It’s a way to get closer to him (or her) by taking the time to think about what could make him (or her) happy. His (or her) happiness is yours and it consolidates your union. A jewel has the ability to anchor love in time by allowing to revive the tenderest memories at every glance to it. Of course, you can take advantage of fashion trends by offering a silver bracelet to your sweetheart. While it is sometimes difficult to choose from all existing models, drawing inspiration from French creations will combine imagination and style. 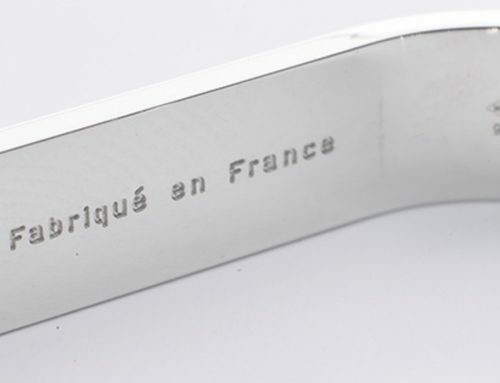 The made in France is more and more successful with fashion lovers, seduced by the authentic handmade workshops and traditional French craftsmanship. Of all the jewels symbolizing love, the ring remains the essential reference. Sometimes built with precious stones, it is equally charming made out of precious metals when it is decorated with a heart or engraved with a customized message. In Ireland, there is a traditional ring that alone symbolizes love, friendship and loyalty, essential values ​​for the durability of a union: the Claddagh ring. More commonly sold in silver, it is also made in gold and makes sensation among couples. Much appreciated, the customization of a bracelet or a pendant will do as much its effect with your lover who will appreciate your attention and your creativity. This attention will symbolize the place your beloved occupies in your heart while offering a unique jewel. The trendy bangle can accommodate this type of customization to turn it into a unique craft adapted to your half. Sophisticated, the bangle makes impression with its look and imposes itself by its style. If you want to associate fashion with love, it is the gift to make to your dear and tender. More discreet models will also be appreciated by those who like to wear their jewels without being blingy.